Robin has served as Children’s Pastor, Middle School and Outreach Director on staff at local church for over 20 years and is currently a member at Riverstone church. Additionally, she served with Feed My Lambs Ministries as Local and International Outreach coordinator of Happy Birthday Jesus parties for over 10 years. Robin was the Activity Director at Camp Cherith in the Carolinas for 5 years and has spoken across-country on topics relating to children's ministry, puppet ministry and leadership. 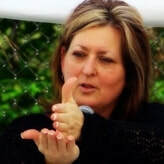 With God’s leading, Robin ventured into development and implementation of camp programming as Camp Gideon's Director in 1998. In 2008 she accepted the position of CEO and in 2010 was granted the Virtue & Valor Award. The following year she helped plant "Campamento Gedeon" in Cortazar, Mexico. Robin and her husband, Craig, have been married for 32 years. They have three grown children and four grandchildren. 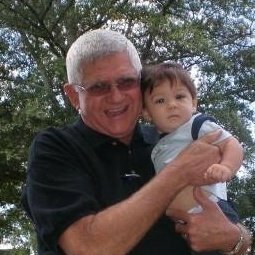 Craig ‘Gib’ has worked for Delta Air Lines for over 25 years, holds a Associate Degree in Aeronautics’ and is a Certified trainer for Evangelism Explosion ("EE"). Gib has a long term history in Children and youth ministry as well as local outreach and Foreign Missions. Married to his wife Robin for 32 years, they have three grown children and three grandchildren. Gib enjoys building and renovating, golf, shooting and the study of politics and history. 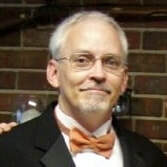 Dan Williams is a CPA who owns and operates an accounting firm in Marietta, Georgia. He graduated from the University of Georgia where he earned his bachelors degree in accounting. His background includes over 25 years of corporate and public accounting. He is an active member of NorthStar Church and his ministry experience includes leading small groups and teaching Sunday School. Dan has been married to his wife Sharie for five years and is the proud father of a son who attends Kennesaw State University and a daughter who attends North Cobb H.S.. His hobbies include trout fishing, racquetball, camping and spending time with family and friends. Terri works as a Media Specialist in Cobb County. . She holds a Specialist Degree in Media & Technology, a Master's Degree in Media as well as a Bachelor's in elementary education. She is a frequent presenter at educational conference. 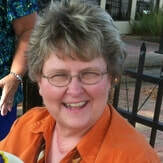 Terri has a long history of ministry experience both at camp and in the local church. She has been with Camp Gideon since its conception; working is various areas of camp. She currently serves as our kitchen director. Terri lives in Woodstock with her husband of 34 years, and has two grown married children. Her hobbies and interests include serving as food ministry coordinator at The Church of Chapelhill, where she is a member. She loves taking a familiar, home cooked recipe and scaling it to feed a large crowd. Rich Butela is a terminal manager at BP Products of North America, Inc. and a Veteran of the US Army. 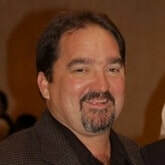 He holds a Bachelors Degree in Technical Management as well as an Associates Degree in Electronics and computer technology. 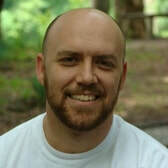 Rich has a long history of experience in both children's and camping ministries. Rich lives in Euharlee with his wife of 25 years and has three grown children and two grandchildren. Alvin Bloodsworth a local business man Marietta, Georgia. He is an active member of Marietta Church of God, where he attends regularly. Alvin is the proud father of 5 grown children and 11 grandchildren. Michael W. Sinnett is a professional educator and leadership development consultant. Michael has served on the staff of four churches and traveled as an evangelist. He currently works for Paulding County School District. He holds a Master’s degree in Organizational Leadership. Michael is a martial arts instructor with Black Belts in two different styles of martial arts. Over the years, he has been involved in many types of ministry. He has a heart to see individuals evangelized, discipled, trained, and released into leadership opportunities. He has been ministering to teens and adults for over 30 years. Boyd is CEO & Founder of TetraCloud Solutions Corp, a 14-year old Chattanooga, TN (Gig City) based Technology Consulting Company specializing in Enterprise & Small Business Technology Solutions. Boyd has served as Elder, Associate Pastor, Youth Pastor, Marriage Counselor, Worship Leader & general Volunteer over his 25+ years of church involvement. He, his wife of 21+ years MaryAnn, and their five children also continue to enjoy their involvement with Camp Gideon where they’ve been volunteering and participating in camp events for over 7 years now, serving in various capacities.